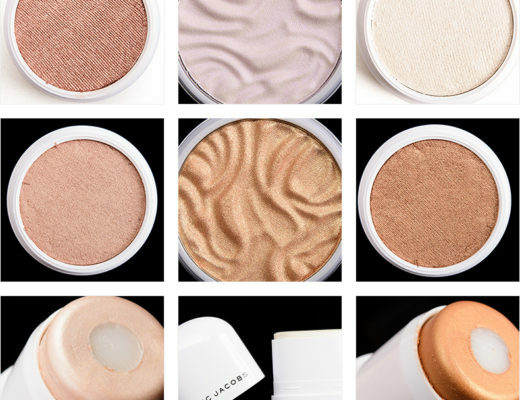 I’m back with more of my highlighter recommendations as there are just so many, it’s hard to know where to start or what to look for… This list features highlighters I love for a softer glow; they’re often marketed as dewy, glowing, luminous, or pearly, and you likely won’t see words like sparkly, metallic, or intense. 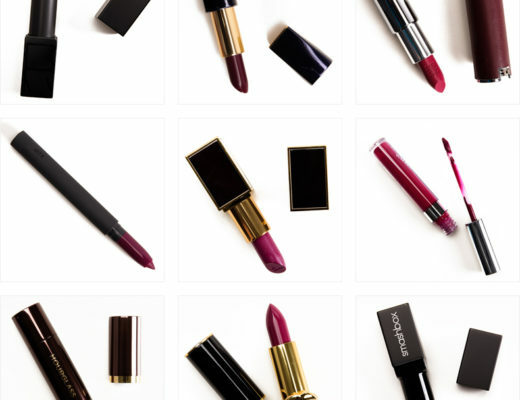 It’s a mix of affordable, mid- and high-end, along with cream/liquid and powder hues. 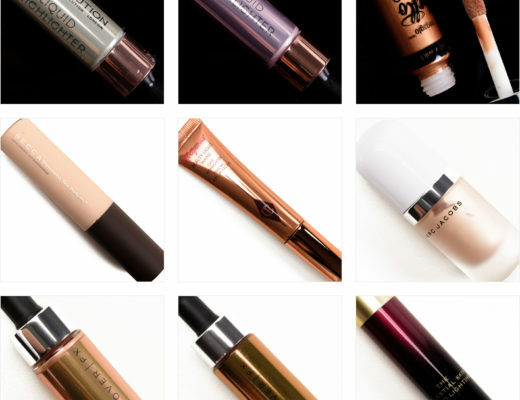 You can check out past recommendations for best liquid highlighters and best cream highlighters for more of my favorites. These are three of the best “drugstore” highlighters I’ve come across if you’re looking for a more lit-from-within kind of glow; the kind that’s skin-like, not too shimmery or metallic, and can be applied for subtle to moderate glow. FYI, “drugstore” is more like code for affordable options but may include more niche or online-only brands. 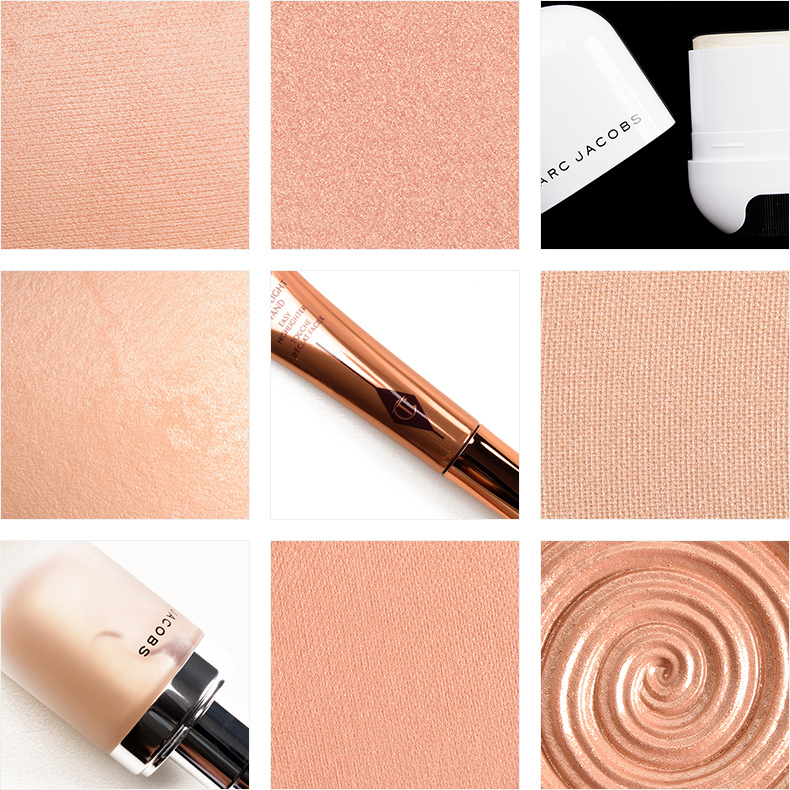 Who should wear this shade: Anyone who loves a soft, peach highlighter with a luminous sheen. Why I love it: It adds warmth but doesn’t pull orange, and the consistency is so blendable that it can easily be applied sheer for less coverage/pearl. This one is hard to overdo! Who should wear this shade: Anyone who is looking for a true, light-medium gold with a pearly sheen–detectable but not metallic or accentuating. Why I love it: The consistency of the powder is so smooth that it has a cream-like feel to it, which helps the powder sit well on skin and blend out beautifully. Below you’ll find a mix of highlighter recommendations across types (cream/liquid/powder), depths, and price points (from $24 to $44). Who should wear this shade: Anyone who prefers a luminous sheen that’s skin-like with oomph. Why I love it: I loved how easily it applied to bare skin as well as over foundation and still left a glossy finish (that wasn’t tacky) and lasted for hours. Who should wear this shade: Anyone who wants a lot of shine, less detectable shimmer, and a wet finish (that isn’t sticky). Who should wear this shade: Anyone who wants a soft highlighter with little color and subtle sheen. Why I love it: It goes with any blush or bronzer for me, lasts all day long, is easy to blend and apply, and is impossible to overdo. This has been a staple in my vanity since I first tried it! Why I love it: My love affair with Candlelight has spanned years; I have it in at least two different iterations of packaging that’s how long I’ve loved it! It’s a subtle, powder-based highlighter that gives the skin a natural glow without obvious shimmer. For deeper complexions, consider Starlight or Sunlight (both are lovely; I regularly use Starlight as a highlighting blush). Who should wear this shade: Anyone who loves warm, golden pearl that’s skin-like that can be built from sheer to moderate. Why I love it: I love that it has slightly larger pearl in it compared to most liquid highlighters, so it can easily be used as a standalone highlighter. It has a very smooth, spreadable consistency that makes it really easy to work with–plus it lasts all day long. Who should wear this shade: Anyone who has a medium to dark collection looking for a luminous highlighter that isn’t white-based. Why I love it: It has a soft sheen that’s glowing but not metallic, and the powder is easy to work with and long-wearing. It works as a lovely highlighting blush on lighter complexions, too. Who should wear this shade: Anyone who wants a glowing bronze sheen on the skin that’s luminous and glowing but not metallic. Why I love it: This is another highlighting pick that works well on medium and deeper complexions, as it isn’t white based and has a bit more depth overall, but the finish yields a glowing finish. It’s a personal favorite as I regularly reach for this shade to add subtle warmth and definition while highlighting my skin simultaneously.